Superior Carpet & Upholstery Care offers the finest Tile and Grout cleaning and sealing in Des Moines, IA and surrounding areas: Altoona, Ankeny, Clive, Johnston, Pleasant Hill, Urbandale, Waukee, West Des Moines and Windsor Heights. 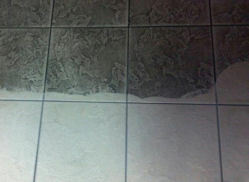 Ceramic and porcelain tiles are not porous and clean well. Grout lines are porous and absorb soils, oils, and stains if left unprotected. Because of this it is recommended to deep clean tile and grout every 1 to 5 years depending on the quality and application of sealer used. If sealers fail between deep cleanings grout lines can become stained and require a restoration process to restore them to their original look. With this in mind Superior Carpet & Upholstery Care recommends setting up a free demo and qualifying of your tile floors so the proper treatment can be determined to get the best out of your tile and grout care. After a deep cleaning it is recommended to reseal grout lines with a high quality long lasting sealer to protect the grout lines in between your next deep cleaning. 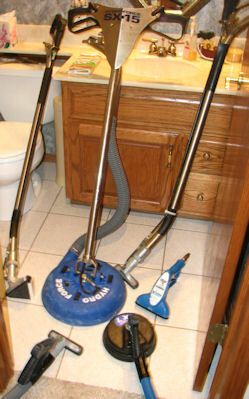 Contact Superior Carpet & Upholstery Care today to have your Tile and Grout cleaning and sealing needs taken care of. Here at Superior Carpet & Upholstery Care, we pride ourselves on the level of quality we provide to our customers. Please check out our Carpet Cleaning, Water Damage Restoration, Upholstery Cleaning, Area Rug Cleaning and Carpet Repair and Stretching services as well!